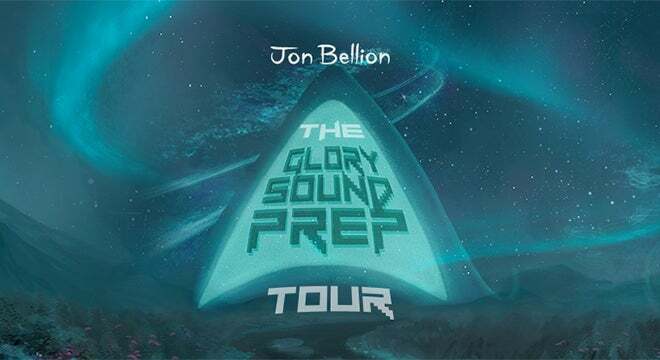 (DETROIT – November 14, 2018) – Jon Bellion will launch an extensive 35-city North American amphitheater tour this summer titled “The Glory Sound Prep Tour,” kicking off June 12 at The Met in Philadelphia. The headline run, produced by Live Nation, will include a stop at Meadow Brook Amphitheatre on the campus of Oakland University on Tuesday, July 30 at 7 p.m.
Tickets (starting at $29) go on sale Friday, November 16 at 1 p.m. and can be purchased at 313Presents.com, LiveNation.com, Little Caesars Arena XFINITY box office and Ticketmaster.com. To charge tickets by phone, call (800) 745-3000. Similar to 313 Presents‘ other outdoor amphitheatres, and new to Meadow Brook Amphitheatre in 2019, the parking fee ($5) is now included in the ticket price. Glory Sound Prep is the follow-up to the New York-based artist’s RIAA Gold-certified 2016 debut album, The Human Condition, which has sold more than 1.5 million adjusted albums and amassed upwards of 1.7 billion cumulative streams. “All Time Low,” the lead single, was a Top 10 hit at Top 40 radio and is now certified 3x Platinum. All three legs of “The Human Condition Tour” sold out. Bellion got his start with a series of mixtapes featuring his original songs – all recorded in his parents’ basement. He built a remarkable following by sharing his music directly with listeners, giving away more than 200,000 free downloads of 2014’s The Definition and playing live for fans on two sold-out national tours. Also a sought-after collaborator, Bellion co-wrote and produced “Trumpets” for Jason Derulo and co-wrote the Grammy® Award winning, 10x-Platinum hit “The Monster” for Eminem and Rihanna. He co-wrote and co-produced Christina Aguilera’s recent single, “Fall in Line” featuring Demi Lovato.